Item # 315802 Stash Points: 2,995 (?) This is the number of points you get in The Zumiez Stash for purchasing this item. Stash points are redeemable for exclusive rewards only available to Zumiez Stash members. To redeem your points check out the rewards catalog on thestash.zumiez.com. Offering a bleak, yet edgy point of view, Salme7 introduces their Ouroboros Black T-Shirt. 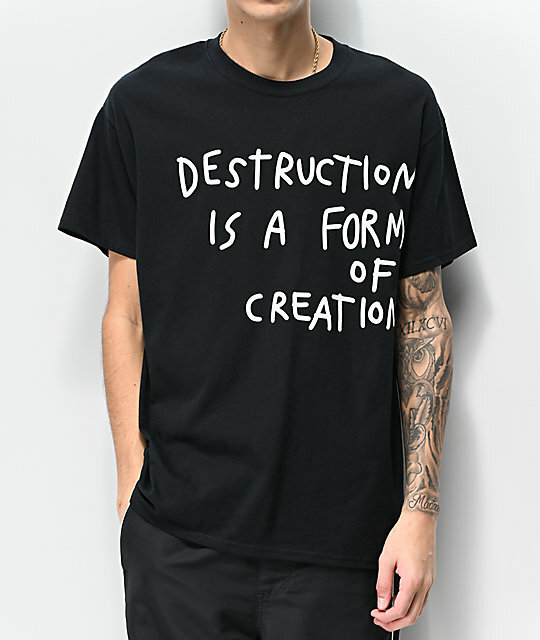 Across the front are the words "Destruction Is A Form Of Creation" while the back displays a large green and gold snake eating it's own tail in a circle, while at the center is signature Salem7 logo script. 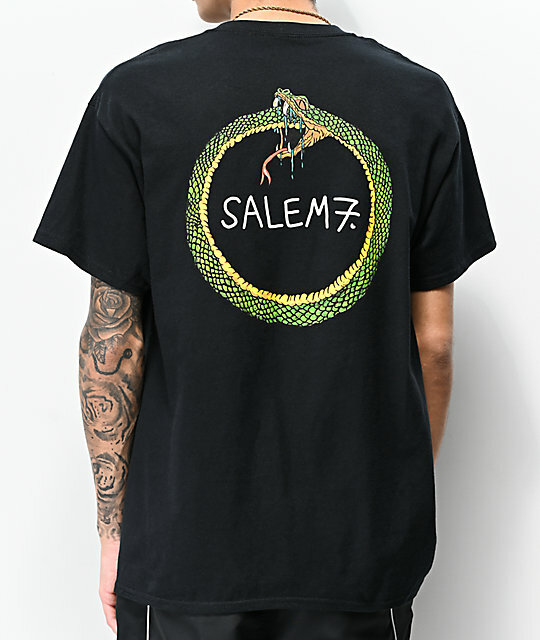 Ouroboros Black T-Shirt from Salem7. 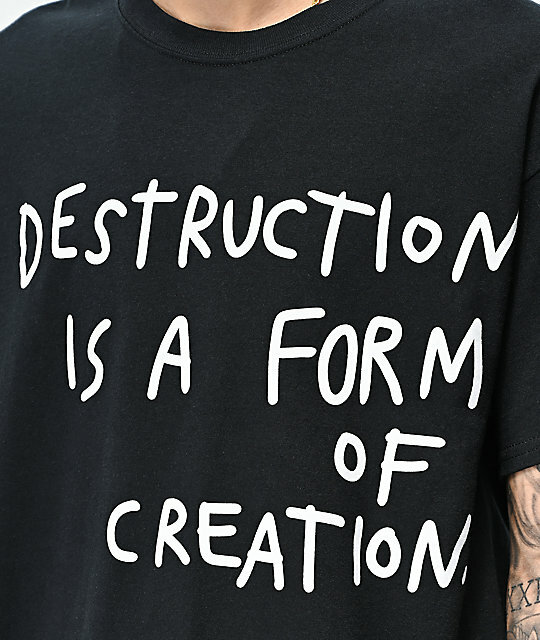 Screen-printed text on front, large graphic on back.